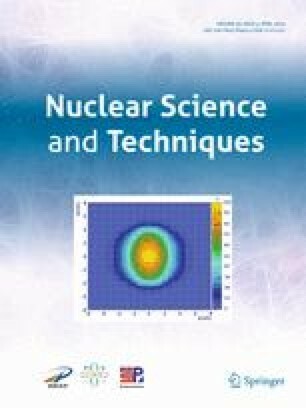 The calculation of inelastic creep damage is important for the structural integrity evaluation of the elevated temperature structure in a thorium molten salt reactor (TMSR). However, a creep damage theory model and numerical simulation method have not been proposed for the key materials (UNS N10003 alloy) in the TMSR. In this study, creep damage characterization of UNS N10003 alloy is investigated using the Norton creep law and Kachanov–Rabotnov (K–R) creep damage model. First, the creep experimental data of the UNS N10003 alloy at 650 °C were adopted to fit the material constants of the two models. Then, the creep damage behavior of the UNS N10003 alloy was analyzed and discussed under uniaxial and multi-axial stress states. The results indicated that the K–R creep damage model is more suitable for the UNS N10003 alloy than the Norton model. Finally, the numerical simulation method was developed by a user-defined UMAT subroutine and subsequently verified through a finite element analysis (FEA). The FEA results were in agreement with the theoretical solutions. This study provides an effective method for the inelastic creep damage analysis of the elevated temperature structure in the TMSR. The work was supported by the Strategic Priority Research Program of the Chinese Academy of Sciences (No. XDA02010000).